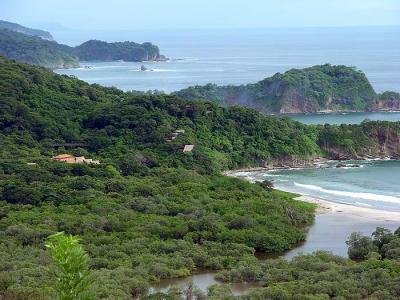 Nicaragua has a great chain of volcanoes in the north, with lakes, rainforest, mangrove swamps, coffee plantations, a gorgeous Caribbean coast with coral reefs, and sandy Pacific beaches where turtles come to lay their eggs. For culture lovers, old Spanish colonial towns like Granada have some superb architecture, whilst León has a huge baroque cathedral and some excellent art galleries. Nicaragua is bordered by Costa Rica to the south and Honduras to the north and it is very easy to combine the south of Nicaragua with Costa Rica. Nicaragua has overcome several decades of political instability and is now a wonderful destination offering a mix of colonial cities, stunning beaches and fascinating wildlife. 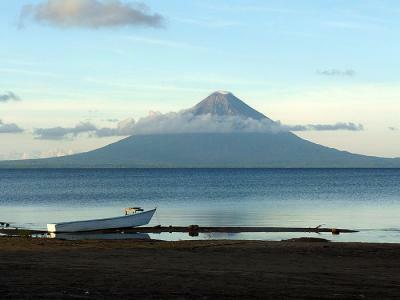 The south-west of the country is dominated by Lake Nicaragua, around which the majority of the population live. The beautiful Pacific coast offers some dramatic scenery and some lovely beach accommodation. From dark to white sand to virgin and wild beaches there is a staggering variety and in some protected areas, turtles come to lay their eggs. Founded in 1524, Granada is the oldest city in the New World and has some wonderful colonial architecture. The cobblestone streets lined with colourful buildings and quaint churches make the city a great base to explore the surrounding countryside. The dry season runs from December-May, with temperatures becoming unbearably hot towards the end of the season. The wettest months are June to October. The most popular time to visit is just after the rainy season in November. Yellow fever, tetanus cholera and malaria advisable. Malaria is a risk in rural areas as well as the outskirts of Bluefields, Bonanza, Chinandega, Leon, Puerto Cabezas, Rosita and Siuna. No visa required for European or US citizens. The unit of currency is the cordoba, divided into centavos. It was introduced on a par with the US dollar in 1990. US dollars are accepted everywhere although change is give in centavos. Bank queues can be very long and you should allow plenty of time, especially on Monday mornings and the 15th and 31st of every month. When changing money take some ID or a copy of your passport. It is not possible to change currencies other than US dollars and Euros in Nicaragua. Visa and Mastercard are accepted in nearly all restaurants and hotels, and in many shops. There are ATMS in Managua and they are becoming more common in main towns and at gas stations. 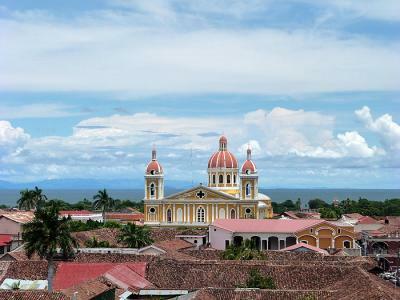 A basic knowledge of Spanish will help immensely for travel in Nicaragua. On the Caribbean coast English is widely spoken, but in the rest of the country mainly Spanish. English and indigenous languages are spoken on the Atlantic coast.